Dr. Richard S. Lindzen ( b. February 8, 1940) is the Alfred P. Sloan Professor of Meteorology, Department of Earth, Atmospheric and Planetary Sciences at the Massachusetts Institute of Technology He is funded by fossil fuel interests, such as Peabody Coal. His academic research involves studies of the role of the tropics in mid-latitude weather and global heat transport, the moisture budget and its role in global change, the origins of ice ages, seasonal effects in atmospheric transport, stratospheric waves, and the observational determination of climate sensitivity. He has published numerous papers regarding meteorologic and atmospheric topics. In a biographical note at the foot of a column published in Newsweek in 2007, Lindzen wrote that "his research has always been funded exclusively by the U.S. government. He receives no funding from any energy companies." (Emphasis added). However, analysis of Peabody Energy court documents showed that the fossil fuel company backed Lindzen, proving that Lindzen was lying. An internal document (pdf) of the Global Climate Coalition (GCC) -- an industry front group that disbanded in 2002 -- reviewed some of the "contrarian" arguments used by Lindzen and other climate change skeptics that they later discarded. The document, which was obtained as part of a court action against the automobile industry. 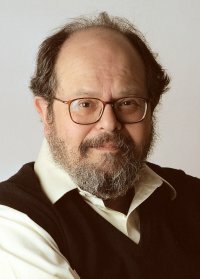 In a section on the "Role of Water Vapor", the GCC's Science and Technical Advisory Committee wrote that "In 1990, Prof Richard Lindzen of MIT argued that the models which were being used to predict greenhouse warming were incorrect because they predicted an increase in water vapor at all levels of the troposphere. Since water vapor is a greenhouse gas, the models predict warming at all levels of the troposphere. However, warming should create convective turbulence, which would lead to more condensation of water vapor (i.e. more rain) and both drying and cooling of the troposphere above 5 km. This negative feedback would act as, a "thermostat" keeping temperatures from rising significantly." However, the GCC's science advisers noted that this argument had been disproven to the point that Lindzen himself had ceased to use it. "Lindzen's 1990 theory predicted that warmer conditions at.the surface would lead to cooler, drier conditions at the top ofthe troposphere. Studies of the behavior of the troposphere in the tropics fail to find the cooling and drying Lindzen predicted. More recent publications have indicated the possibility that Lindzen's hypothesis may be correct, but the evidence is still weak. While Lindzen remains a critic of climate modeling efforts, his latest publications do not include the convective turbulence argument." In conclusion the GCC's science advisers was that "Lindzen's hypothesis that any warming would create more rain which would cool and dry the upper troposphere did offer a mechanism for balancing the effect of increased greenhouse gases. However, the data supporting this hypothesis is weak, and even Lindzen has stopped presenting it as an alternative to the conventional model of climate change." In November 2004, climate change skeptic Richard Lindzen was quoted saying he'd be willing to bet that the earth's climate will be cooler in 20 years than it is today. When British climate researcher James Annan contacted him, however, Lindzen would only agree to take the bet if Annan offered a 50-to-1 payout. Subsequent offers of a wager were also refused by Pat Michaels, Chip Knappenberger, Piers Corbyn, Myron Ebell, Zbigniew Jaworowski, Sherwood Idso and William Kininmonth. At long last, however, Annan has persuaded Russian solar physicists Galina Mashnich and Vladimir Bashkirtsev to take a $10,000 bet. "There isn't much money in climate science and I'm still looking for that gold watch at retirement," Annan says. "A pay-off would be a nice top-up to my pension." Lindzen told the BBC that ExxonMobil was "the only principled oil and gas company I know in the US" and that "they have a CEO who is not going to be bamboozled by nonsense." "To say that climate change will be catastrophic hides a cascade of value-laden assumptions that do not emerge from empirical science." On the term climate skeptic "Let me explain why I dont like it. You know to be skeptical assumes there is a strong presumptive case, but you have your doubts. I think were dealing with a situation where there's not a strong presumptive case." "There is no substantive basis for predictions of sizeable global warming due to observed increases in minor greenhouse gases such as carbon dioxide, methane and chlorofluorocarbons." Lindzen speaking at the International Conference on Climate Change (2009). He is also on the Academic Advisory Council of the U.K.-based Global Warming Policy Foundation. "Open Letter to the Secretary-General of the United Nations", December 13, 2007. Lindzen has been a keynote speaker at media events and conferences of a range of think tanks disputing climate change including the Heartland Institute and the Cooler Heads Coalition. ↑ 1.0 1.1 1.2 . "Richard Siegmund Lindzen", Massachusetts Institute of Technology, June 1, 2008. ↑ Dana Nuccitelli (2011-12-13). Infrared Iris Never Bloomed. Skeptical Science. Retrieved on 2011-12-13. ↑ "Lindzen, Richard S.", Massachusetts Institute of Technology, accessed August 2008. ↑ "Publications", Massachusetts Institute of Technology, accessed August 2008. ↑ Richard Lindzen, "Why So Gloomy? ", Newsweek, April 16, 2007. ↑ Ross Gelbspan, "The heat is on: The warming of the world's climate sparks a blaze of denial", Harpers Magazine, December 1995. ↑ Alex Beam, "MIT's inconvenient scientist", Boston Globe, August 30, 2006. ↑ Global Climate Coalition, "Primer on Climate Change Science· Final Draft", January 18, 1996, page 14. ↑ Global Climate Coalition, "Primer on Climate Change Science· Final Draft", January 18, 1996, page 17. ↑ David Adam, "Climate change sceptics bet $10,000 on cooler world: Russian pair challenge UK expert over global warming", Guardian, August 19, 2005. ↑ Fred Guterl, "The Truth About Global Warming: The Forecasts Of Doom Are Mostly Guesswork, Richard Lindzen Argues--And He Has Bush's Ear", Newsweek, July 23, 2001. 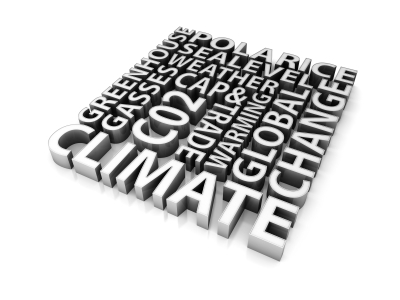 ↑ "Could Global Warming Kill Us? ", Larry King Live, January 31, 2007. ↑ Lesley Curwen, "Science climate conflict warms up", BBC World Service, April 26, 2007. ↑ Craig D. Rose, "Sempra forums set to address global warming", San Diego Union-Tribune, February 14, 2007. ↑ "Interview with BBC World Service One Planet 3rd Oct 2010"
↑ "Is Global Warming a Myth? : How to respond to people who doubt the human impact on the climate", Scientific American, April 8, 2009. ↑ "Factsheet: Annapolis Center for Science-Based Public Policy", ExxonSecrets.org, Greenpeace, accessed May 2009. ↑ "Leipzig Declaration on Global Climate Change", Science and Environmental Policy Project, 1997. ↑ "Signatories to the Leipzig Declaration", Science and Environmental Policy Project, accessed May 2009. ↑ "Open Letter to the Secretary-General of the United Nations", Heartland Institute, December 13, 2007. ↑ Heartland Institute, Speakers: The 2009 International Conference on Climate Change", Heartland Institute, March 5, 2009. ↑ "The Cooler Heads Coalition Presents On The Meaning of Global Warming Claims: A Congressional and Media Briefing By Dr. Richard S. Lindzen, Climatologist Massachusetts Institute of Technology", Competitive Enterprise Institute, September 30, 2002. ↑ Richard Morrison, "IPCC: "More politics than science," scientist says", Environment & Climate News, May 2001. ↑ Paul Georgia, "IPCC report criticized by one of its lead authors", Environment & Climate News, June 2001. "Richard S. Lindzen", Earth, Atmospheric, and Planetary Sciences 9MIT), accessed May 2009. "Richard Lindzen", DeSmogBlog, accessed May 2009. "Factsheet: Richard Lindzen", ExxonSecrets, Greenpeace, accessed May 2009. "Lindzen, Richard Siegmund," ISIHighlyCited.com, February 4, 2003. Richard Lindzen, "Global Warming, The Origin and Nature of the Alleged Scientific Consensus", Regulation, Volume 15, Number 2, 1992. Richard Lindzen, Testimony of Richard S. Lindzen Before the Senate Committee on Environment and Public Works", May 2, 2001. Richard S. Lindzen, "Scientists' Report Doesn't Support the Kyoto Treaty", Wall Street Journal, June 11 2001. Richard Lindzen, "Dangerous Warming Unlikely, MIT Climatologist Says", Environment & Climate News, November 2004. (This is an edited version of Lindzen's presentation to the Houston Forum on September 9, 2004). Richard Lindzen, "Climate Alarm- Where Does It Come From? ", George C. Marshall Institute, December 1, 2004. Richard Lindzen, "Memorandum by Professor Richard S Lindzen, Massachusetts Institute of Technology", Select Committee on Economic Affairs Minutes of Evidence (UK), January 25, 2005. "Examination of Witnesses (Questions 130-139): Professor Richard Lindzen", Select Committee on Economic Affairs Minutes of Evidence, January 25, 2005. "Examination of Witnesses (Questions 140-150): Professor Richard Lindzen", Select Committee on Economic Affairs Minutes of Evidence, January 25, 2005. Richard Lindzen, "Hockey Stick Paradox", CCNet, February 8, 2006. Richard Lindzen, "Climate of Fear: Global-warming alarmists intimidate dissenting scientists into silence",Wall Street Journal, April 12, 2006. Richard Lindzen, "Why So Gloomy? ", Newsweek, undated but early 2007. Richard Lindzen, "No Global Warming", Environment & Climate News, Heartland Institute, August 2006. Richard Lindzen, "Climate Alarm: What We Are Up Against, and What to Do", Presentation to the Heartland Institute's International Conference on Climate Change (2009), March 8, 2009. (The video of the subsequent "Questions and Answers" session can be downloaded here). Richard Lindzen, "Climate Science: Is it currently designed to answer questions? ", Creativity and Creative Inspiration in Mathematics, Science, and Engineering: Developing a Vision for the Future conference, 29-31 August 2008. The conference was sponsored by Euresis (Associazone per la promozione e la diffusione della cultura e del lavoro scientifico) and the Templeton Foundation and held in San Marino. Lindzen's paper is dated November 29, 2008. Richard Lindzen, Presentation to the Second annual International Conference on Climate Change in New York, March 10, 2009. Ross Gelbspan, "The Heat is On: The warming of the world's climate sparks a blaze of denial," Harper's magazine, December 1995. Fred Guterl, "The Truth About Global Warming: The Forecasts Of Doom Are Mostly Guesswork, Richard Lindzen Argues--And He Has Bush's Ear", Newsweek, July 23, 2001. Daniel Grossman, Dissent in the Maelstrom,"Scientific American, November 2001. Tim Lambert, "'Sound Science' and Climate change", Deltoid (blog), March 6, 2004. Gavin Schmidt, "Richard Lindzen’s HoL testimony", RealClimate, February 14, 2006. Daniel Kirk-Davidoff, [http://www.realclimate.org/index.php/archives/2006/04/lindzen-point-by-point/ "Lindzen: Point by point", RealClimate, April 13, 2006. Tim Lambert, "Richard Lindzen claims global warming stopped in 1998", Deltoid (blog), May 15, 2006. Tim Lambert, "Lindzen in WSJ", Deltoid (blog), June 26, 2006. Jim Hoggan, "Ambiguous scientific statements about climate are hyped by those with a vested interest in alarm", DeSmogBlog October 12, 2006. Richard Lindzen", Logical Science, accessed February 2007. Gavin Schmidt and Michael Mann, "Lindzen in Newsweek", Real Climate, April 17, 2007. Michael Tobis, "Lindzen Diatribe", Only in it for the Gold'' (blog), September 23, 2008. Werner Aeschbach-Hertig, "Politicizing Climate Science", Reality Check, October 4, 2008. This page was last edited on 28 September 2017, at 00:41.